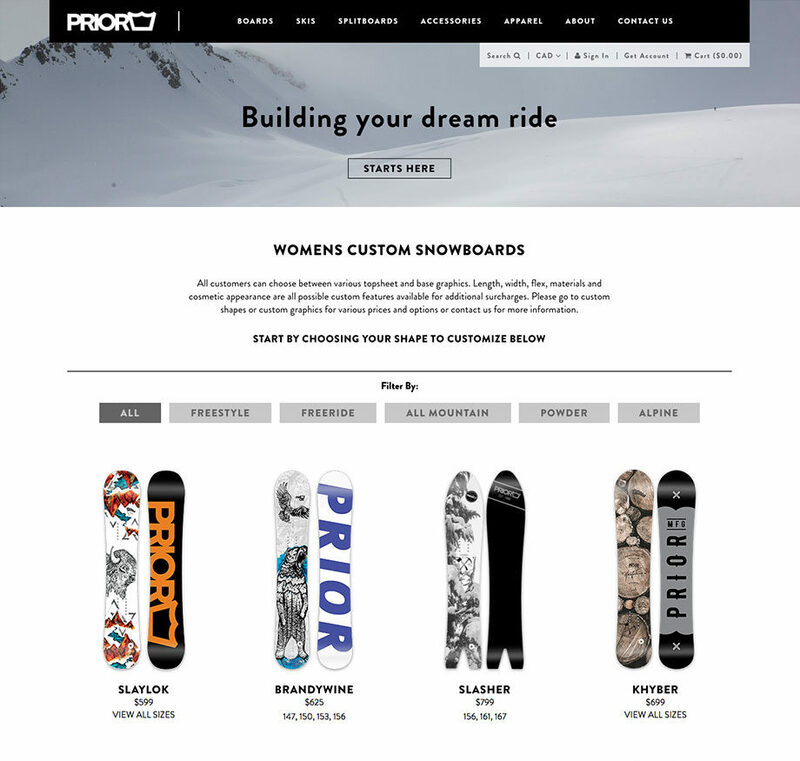 Since 1990, Prior has been focused on handcrafting premium products for the snowsports industry. 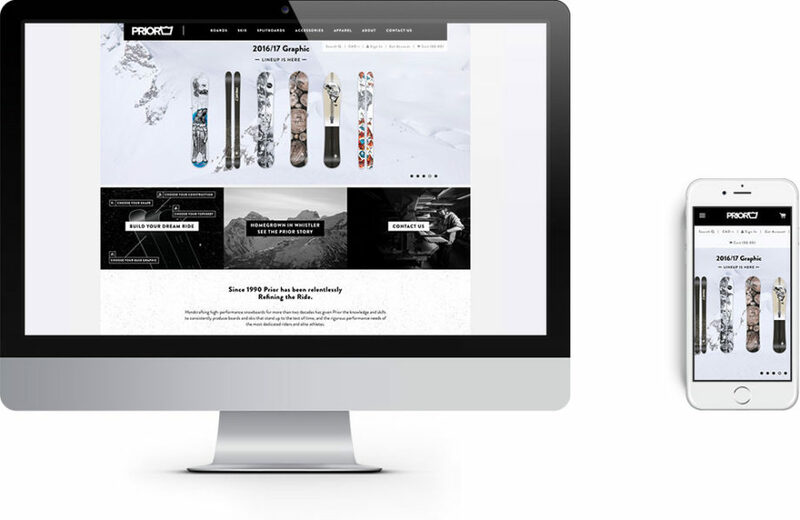 Their aim over the last two decades has been and continues to be consistently producing boards and skis that stand up to the test of time, as well as the rigorous performance needs of the most dedicated riders and elite athletes. 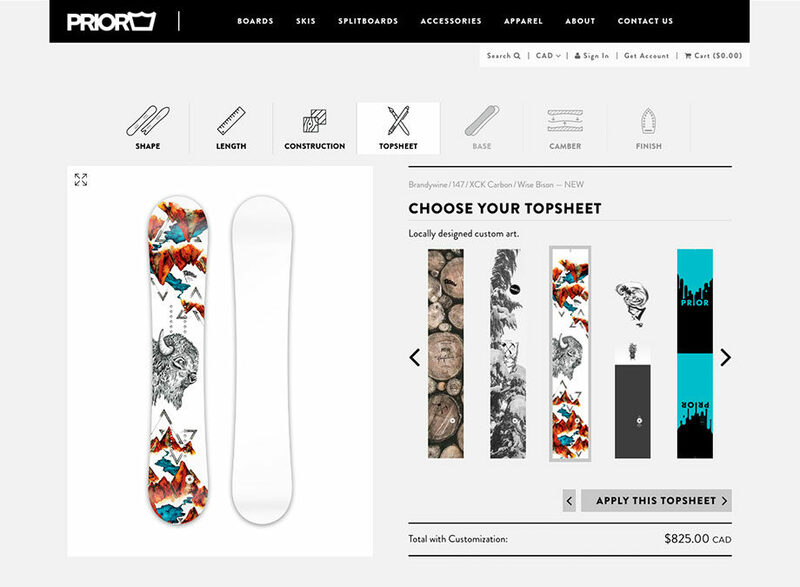 Prior’s customers are given the freedom to customize their dream boards, skis or splitboards in just about every way possible. 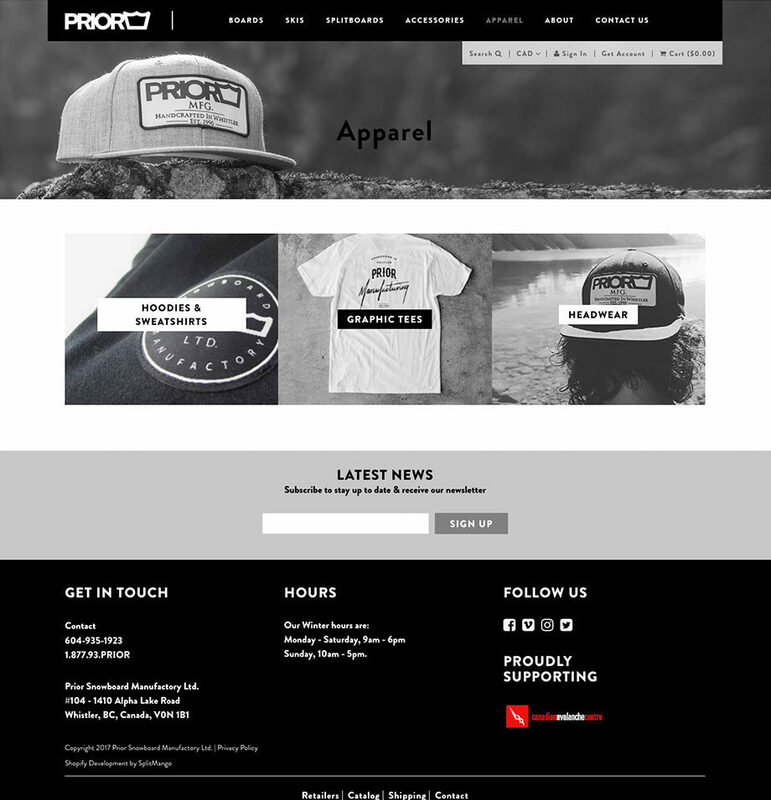 Prior’s new website is serving as the digital platform to turn this into a reality.